The Monetary Policy Committee (MPC) of the Central Bank of Nigeria (CBN) on Tuesday called on the Federal Government to urgently evaluate the level of its domestic indebtedness and develop a framework for settling these debts. The committee, in a communique issued at the end of its two-day meeting held at the headquarters of the CBN in Abuja, warned that the huge government indebtedness to economic agents had slowed down business activities. In the communique, which was read by the CBN Governor, Mr. Godwin Emefiele, the committee noted that the development was not good for the economy as it was compromising the integrity of the financial system. While reiterating that monetary policy alone could not address the current economic crisis, the CBN governor noted that the committee called for an enrichment of fiscal and other sector initiatives and interventions towards resolving the growth challenges in the economy. 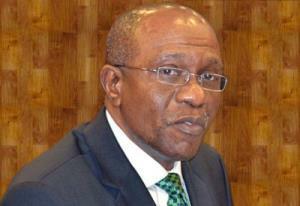 He said these interventions were vital in order to promptly revive confidence in the economy. Emefiele said, 'Members stressed the need for a robust and more keenly coordinated macroeconomic policy framework that would restart output growth, stimulate aggregate demand and rein in inflation expectations. 'The MPC urged the Federal Government to urgently assess the extent of its indebtedness to domestic economic agents and develop a framework for securitising the debts in order to settle its outstanding domestic contractual obligations, which cut across all sectors of the economy. The CBN governor said the committee called on security agencies to sustain their checks on the activities of illegal foreign exchange operators in order to bring sanity to that segment of the market. He said, 'The extant foreign exchange regulation outlaws the trafficking of currency on the streets as some unlicensed operators currently do. On whether the CBN was supporting jail terms for people hoarding dollars, Emefiele said the apex bank would not support any such move. He said while the current foreign exchange regulations of the CBN did not in any way support jail term for people who hoard dollars, he was aware that the Nigerian Law Reform Commission was working towards reviewing the regulations. The apex bank boss, however, added that the CBN would not support any move to prescribe jail terms for people who hoard dollars. He said, 'Let me use this opportunity to reiterate that it is not in our foreign exchange regulations that people should be jailed or their dollars confiscated. But I am aware because just today, I was told that the Nigerian Law Reform Commission is looking at reviewing the exchange regulations, just like it normally will from time to time depending on the exigency of the time. 'We have not been contacted regarding whether or not some of the clauses that are involved are included in the review to be conducted by the Law Reform Commission.